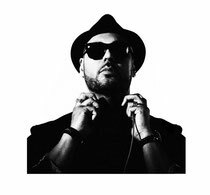 Roger Sanchez recently unveiled the full details of his forthcoming Roger Sanchez presents Stealth ADE party, the fourth edition of his annual Amsterdam Dance Event show. Taking place on Sunday 20 October at Escape on Rembrandtplein 11, Stealth ADE will see Sanchez joined by fellow New York legend, Kenny ‘Dope’ Gonzalez, for a world exclusive back to back DJ set; this is the first time the two dance music pioneers have played a set of this kind together. The two house titans will be joined by Stealth artists, Mike Vale and Rae, to finish off the closing day of ADE in style. Roger has just finished a season in Ibiza, where he took control of the infamous Space Terrace each Monday for Café Ole. His recent single, ‘My Roots’, followed his latest compilation, ‘Release Yourself ‘13’. His new artist album, ‘Roots’, will be released in 2014. Check out ‘My Roots’ below. May I just say what a relief to discover a person that truly understands what they are discussing on the net. You definitely realize how to bring an issue to light and make it important. More and more people have to look at this and understand this side of your story. I was surprised that you're not more popular because you surely possess the gift.